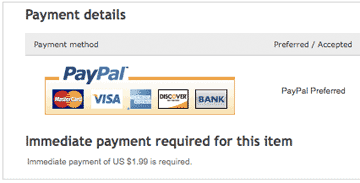 Important: [セラーのID] requires immediate payment for this item with PayPal. ・ To proceed with this purchase, click the Continue button at the bottom of the page. ・Seller has not specified shipping fees for items in your cart.